Celebrating Cinco de Mayo today? I rarely plan ahead for this holiday (cheers to the end of European invasion in the Americas! ), but it always gets me craving tacos and spicy Micheladas. In the past, that’s been my go-to alternative to a margarita—not really my drink of choice unless I’ve got my toes in the sand—however I thought it was time to try something different. 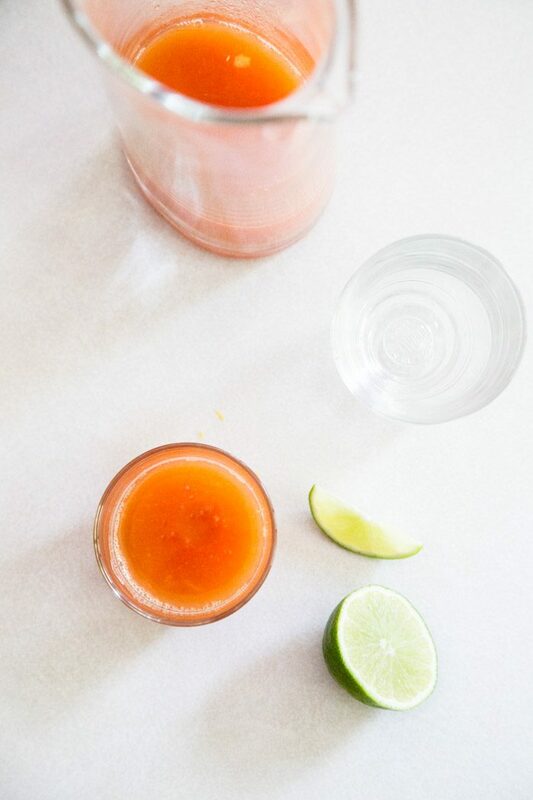 Sangrita is a traditional tequila companion that is said to have originated in Guadalajara, in the state of Jalisco. Leftover juices from a fruit salad, composed of Seville oranges, limes, and pomegranates, with chili powder or hot sauce (I think of those cups we’d buy in Mexico, cut fresh, from sidewalk carts), were poured into a small glass, drank alternately with sips of tequila. I looked around for recipes online and there’s a wide range. 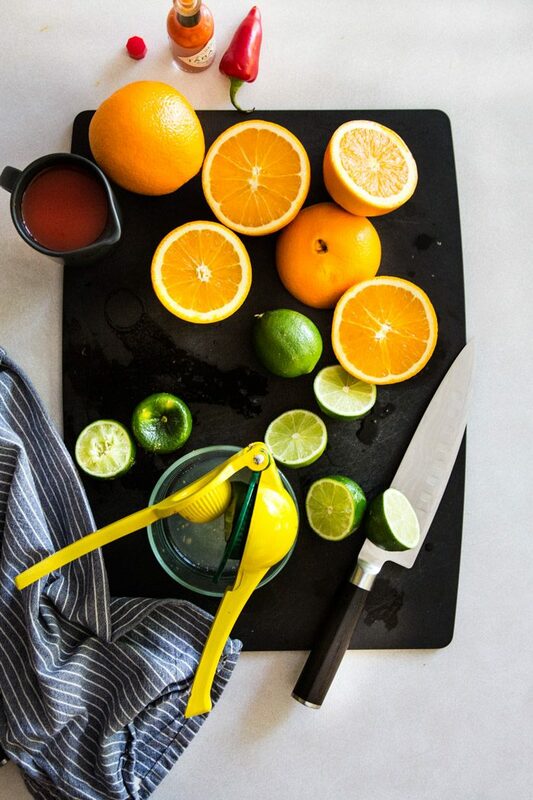 Most recipes call for tomato juice to be mixed with the fresh-squeezed oranges and limes, but the Wiki entry suggests that this may have been a result of mistakenly attributing the red appearance of the drink to tomatoes. Some recipes use grenadine, and it could make sense to add a sweet note to the salt, acid, and spice. Almost all seem to agree that a balance is the key. My guess is that there are no set rules—except, of course, finding a fine agave tequila worth sipping. Add ancho chile powder, or a few dashes of hot sauce to taste. P.S. If you are looking for a good margarita, here’s a perfect grapefruit margarita recipe, or you could trying keeping it pure and simple—tequila, lime juice, and perhaps a bit of agave nectar. We once ordered a margarita in Campeche, and the bartender just poured a shot of tequila over a large ice cube, and squeezed a good dose of sweet, fresh lime into the glass. It was the best I’ve had.